I hope you don't mind if I introduce myself before we get to the meat of this article. I am Schattenbluete, a gentle, blue Xweetok, who has the misfortune to be maligned by her mean, heartless siblings. I am writing this article to prove to my owner that I am a good, innocent Neopet, who would never have tried to cast a curse on that spoiled, meddlesome brat Herzenstrost... uh... I mean: My beloved baby sister. I might have studied various books about curses, but that is no proof at all. After all I've read a lot of other books too: Dark Faerie Secrets, Bound Darkness Scroll and Grave Digging Manual, for example. I guess I'd better return to my article. It has come to my knowledge that a lot of owners choose their Neopets solely based on the way they look, without taking into account if their personalities are compatible. My noble mission is to encourage you to consider the inner worth of a Neopet too, instead of depending on such a superficial criterion alone. I want to accomplish that by pointing out the inner worth (or something like that) of five different species of Neopets, who shall stand as an example that there is more to a Neopet than meets the eye. So you like being unique and set yourself apart from the crowd. Did you know that Chias are the only plant based Neopets we have? Did you know that there are more than 15 colours that ONLY Chias can have? You'll not find another Neopet that has that many species unique colours. Chias are among the first reported Neopets to be seen ever and a lot of famous Neopians are Chias. 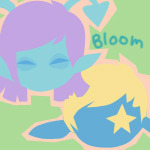 For example: Florg, Chiazilla and the late Hubrid Nox! Even Dr. Frank Sloth is reputed to be a Chia and isn't that cool? Yes, I know he isn't exactly a hero, but you can't argue that he IS famous or at least infamous. 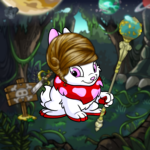 Do you like customizing your Neopet and changing its colour? Does it bother you that the old colour vanishes every time you use a new paint brush with nothing to show for it? You've probably found out by now that there are paint brushes which give you clothes that you can keep, but did you know that it depends not just on the kind of brush but on the kind of Neopet too? If you were to paint my useless brother Sunsaphir disco for example, you wouldn't get any paint brush clothes; Unis have no disco clothes. Now which pet has the most potential to give you paint brush clothes? It might warrant further study, but I believe your best choice would be an Usul. Almost every colour (and that includes basic colours like red or blue) will bring you a new Usul Bow and a new Usul headband. You can also gain cool items like Halloween Usul Pitchfork. Even better – There is the Usuki Paint Brush, which doesn't work for other Neopets and which will give you nice paint brush clothes too. Every Neopet species has certain advantages and/or disadvantages. For example, Lupes are the only species that can use the Ancient Lupe Wand, a very cheap (though admittedly fragile) 100% freezer. But which species is best suited for the Battledome? Some people claim Pteris are, because of their high resistance to air attacks. No, I am not a dangerous lunatic. You people should really stop talking to my sister Himemaya. My word on it: Pteris DO like food with worms, revolting as that may seem to you. In fact it doesn't matter how ill or hungry they were. One meal with worms and they'll storm into any fight. That makes them great minions... uh... allies. Yes, Pteris are great allies in the fight for goodness and justice and... and... peace. Right, peace – That's what it was. Just ask my brother Golden Twilight. Be careful to get out of the way of his sword when you do, though. So you like playing Tombola? Letting your Neopets fish in Ye Olde Fishing Vortex? Have you noticed that as a consequence your inventory is constantly chock-full with useless junk? I am talking about Grarrls. They'll simply eat all the junk. Imagine it! Instead of wasting time with having to throw it away you save Neopoints on the food for your Neopet. There might be people who claim it's disrespectful to use your Neopet as a garbage bin, but what do they know? I've personally seen how much a Grarrl loves eating an Old Rotten Right Boot and by now you should know, you can trust me. No, I won't be held responsible for any loss of Neopoints if you do things like feeding them your Sword of Skardsen. I never said they eat only junk. Are you sick of all the blue, red, green and yellow Neopets? If only paint brushes were cheaper, hm? Did you know that if you adopt a Grundo from the Space Adoption Agency, you can have one in Meteoric Purple, Planetoid Brown or Plasma White free? Want to give your new Grundo a species specific wearable? How about I Club Sloth Grundo T-Shirt? With an approximate Shop Wizard price of less than 150 NP, there is no comparison to the cheapest Cybunny wearable (Cybunny Carrot Hat). They have very cheap species specific weapons too. My recommendation would be Obedience Medallion. It is very important that every Grundo wears one at all time. Best of all you can now claim that you've bought the Grundo Inspired Dresser, the Orange Grundo Wardrobe and the Orange Kreludan Bed on purpose and not because it was the cheapest furniture to be had. Just make sure to keep your Grundo away from books. You don't want to create an insufferable know-it-all like my sister Alara. Only a stupid Grundo makes a good minion... a good companion, I mean. And here we are at the end of my article. I hope I've demonstrated that it's better to make a well informed choice than to choose based on nothing but the shape of the species. If you liked, what I've written and have a little time on your hands, I'd be grateful if you wrote a Neomail to my owner and confirmed that I am a nice, virtuous Neopet and that most of my siblings are evil, lying villains. Speaking of villains, I must hurry or I'll miss the annual villain meeting... *coughs*... the annual anti-villain meeting. Where all the heroes meet. Like me. We eat cookies. We drink milk. Sing... and cuddle Petpets. You can come along if you don't believe me. I'll introduce you to the Meepit Delegation. The following are in my opinion probably the top five most annoying Background Characters in any Neopian game I could think of, and indeed I don't play any of these certain games anymore because of them (well, except one, but we'll get to that).